2030 Érd Balatoni u 32. BMW 120d M-Packet Navi 52 000 KM! BMW 318td Compact BŐR! NAPFÉNYTETŐ! BMW 730d (Automata) NIGHT VISION! FULL EXTRA! BMW X5 3.0d Aut. 125000KM.! NAVIGÁCIÓ! BMW X5 3.0 sd Aut. NAPFÉNYTETŐ ! CHEVROLET S-10 2.2 Benzin GYŰJTŐI DARAB! CITROEN C3 1.1 Comfort MAGYAR ! KLÍMA! FIAT GRANDE PUNTO 1.3 JTD Dynamic KLÍMA! FIAT PUNTO 1.2 MŰKÖDŐ KLÍMA! FORD FIESTA Van 1.4 TDCi Ambiente EURO5 MAGYAR ! FORD FUSION 1.6 TDCi Trend 71000 KM! FORD KA 1.3 100 MAGYAR ! 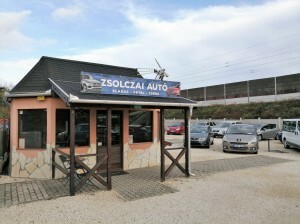 JÓ KASZNI, JÓ MOTOR, AZ 5. SEBESSÉGET NEHEZEN VESZI! FORD MONDEO 2.0 TDCi Trend MAGYAR ! KIA SPORTAGE 1.7 CRDi EX Prémium MAGYARORSZÁGI! ELSŐ TULAJ! MERCEDES-BENZ E 220 T CDI Avantgarde (Automata) BŐR! NAVI! OPEL ANTARA 2.2 CDTI Cosmo (Automata) BŐR! SZERVIZKÖNYV! OPEL ASTRA G 1.4 16V Comfort KLÍMA!!! OPEL ASTRA H 1.7 CDTI Classic III Mo-i! SZERVIZKÖNYV! OPEL CORSA C 1.0 Enjoy Működő klíma ! PEUGEOT 206 1.4 HDi Riviera MAGYARORSZÁGI !!! KLÍMÁS!! RENAULT CLIO 1.5 dCi Azure MAGYARORSZÁGI! KLÍMA! 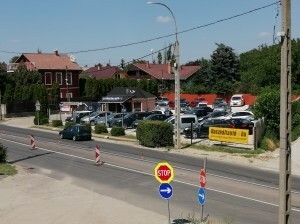 RENAULT THALIA 1.5 dCi Comfort MAGYAR ! KLÍMÁS ! SAAB 9-3 Combi 1.8 t Vector Sport (Automata) NAVIGÁCIÓ !! JÓ MŰSZAKI ÁLLAPOT, GYÁRI KULCSOK! SKODA FABIA 1.2 12V Classic MAGYAR ! SUBARU LEGACY 2.0 D Active MAGYAR ! TOYOTA CARINA Carina-E Sedan 1.6 XLi KLÍMA!!! VOLKSWAGEN TOUAREG 3.0 V6 TDI Tiptronic MAGYAR ! VOLVO S60 2.0 T Kinetic MAGYAR ! SZERVIZKÖNYV ! VEZETETT SZERVIZKÖNYV, GYÁRI KULCSOK, JÓ MŰSZAKI ÁLLAPOT! VOLVO S60 2.4 D5 Momentum Geartronic MAGYAR!